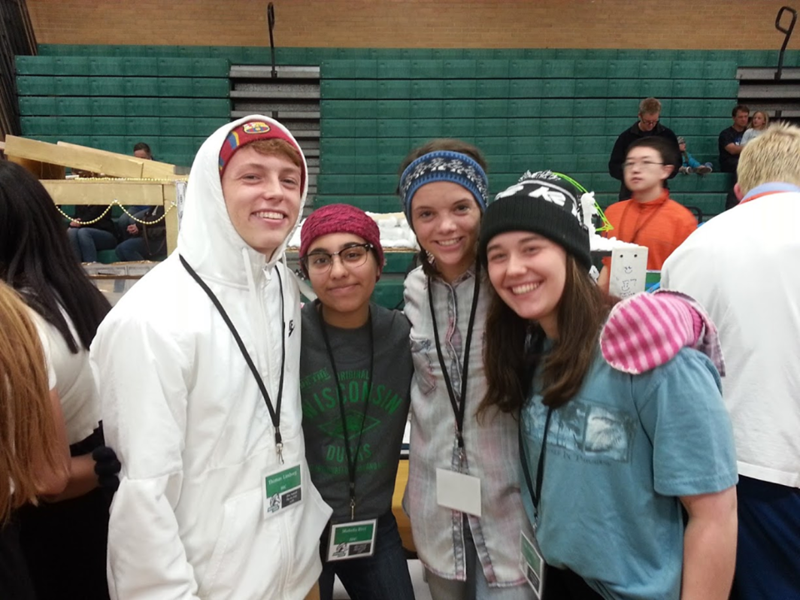 The 21st annual physics fair occurred Monday night. 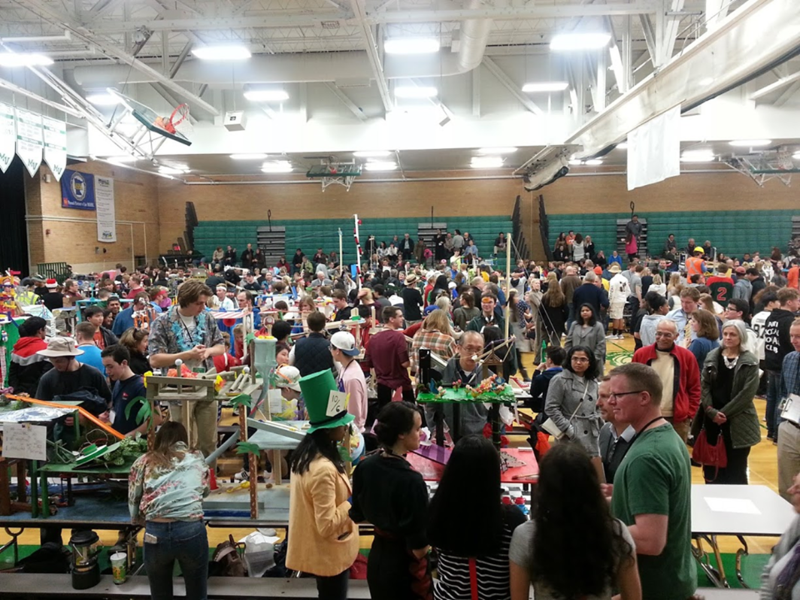 The 21st annual Mounds View High School Physics Fair was held Monday night. Students in all physics classes spent nearly two months preparing for the fair in groups of two to four by creating a Rube Goldberg machine that incorporates components including a propeller car, hovercraft, tracked vehicle and catapult. Groups then added their own optional components, designs and pizzazz to give their projects creative themes ranging from the continent of Africa to the television show Stranger Things. The students first presented their projects and knowledge of physics to judges. Then, at around 8:30 p.m., the projects were all set up for a chain reaction. Each class took turns connecting their projects and triggering them one after another. 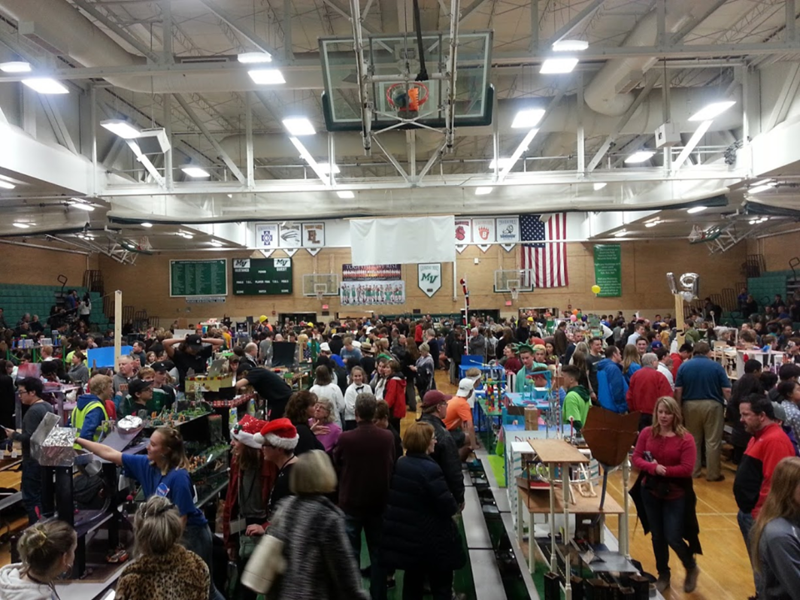 Dense mobs of students and parents crowded around the display tables, cheering as the reactions progressed. Groups jumped and yelled in relief when their projects functioned flawlessly, and those whose projects didn’t work as planned generally laughed and manually helped their reaction proceed. Although the lead up to the fair was stressful for many students who wished to make their projects perfect, the night itself had an atmosphere of fun, accomplishment and enjoyment for everyone rather than stark success or failure. “I don’t think I’ve ever worked on one project for so long, but I learned so much and had fun, even if [our project] didn’t work too well,” said Reuben Gardos Reid, 12.